We packed our TALL yubo today with a little M-I-C-K-E-Y. 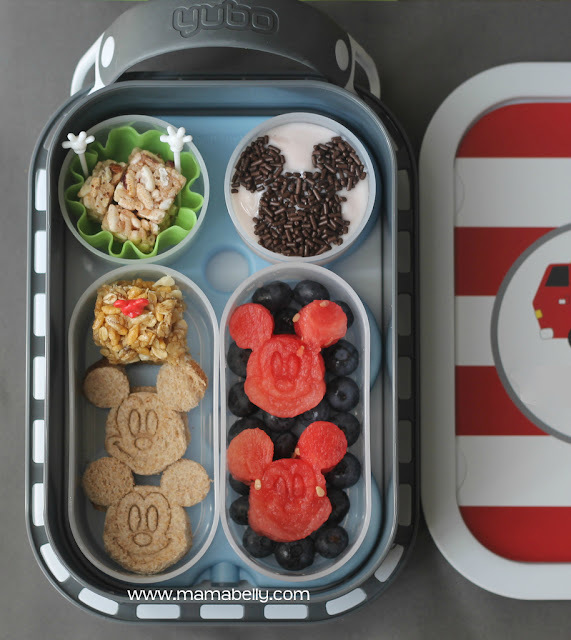 My kids still love Mickey Mouse Club House and since I found a fun Mickey Mouse sandwich cutter on Ebay - I thought it would be a fun lunch to do. Don't forget to enter my TALL yubo giveaway! Have a great day out there and stay cool! - especially for those of us whose kids have narrow lockers at school! Yubo sent us this adorable personalized yubo with the new TALL style. Yubo added my son's name to the lunchbox (Thank you!) but because I don't share my kids' names on the internet I removed the name in Photoshop. You can see examples of the fonts HERE or at the end of the post. My soon-to-be second grader says he likes carrying his yubo upright better. He finds it more comfortable! Our verdict: We love the new TALL yubo! We love the new colors! 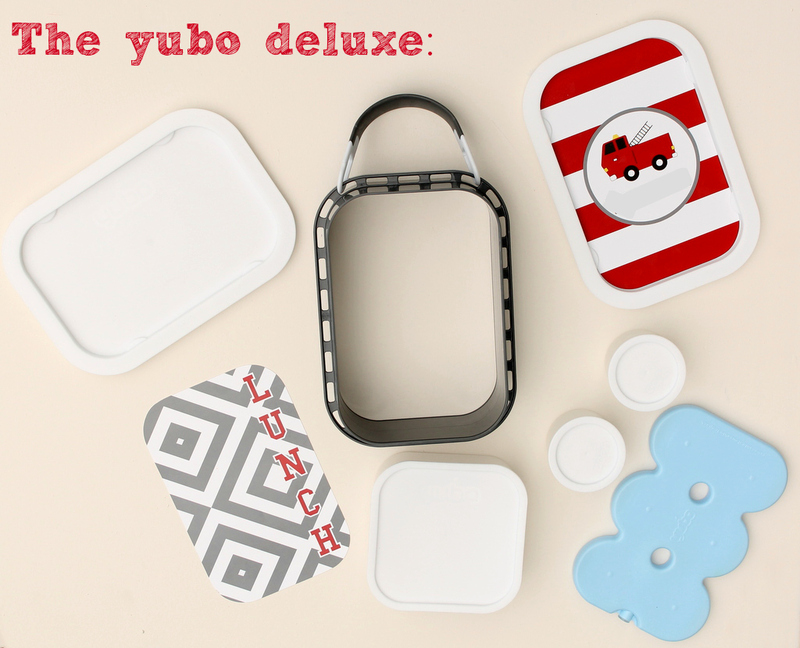 And as always your deluxe yubo comes with one large and two small round containers for lots of fun lunch ideas. All containers are leak proof and the whole lunchbox is dishwasher safe! Just remove the faceplates, wipe them down and put all other pieces in the dishwasher. Easy clean up! This eco-friendly lunchbox is fun, can grow with your child since you can order new faceplates starting at $6.95, and the interchangable faceplates even let you share the lunchbox between siblings. We have two yubos in neutral colors but three sets of faceplates so everyone can have their own style. That makes this lunchbox so attractive to me. Everyone can take their "own" lunchbox to school without me having to buy four different yubos! Red and yellow pepper "fire." I love the new sleek looking grey yubo and really who wouldn't want to dig into a lunch like that? I used the Lunch Punch truck cutter to cut the sandwich and red pepper and in no time we had a fire truck sandwich racing to extinguish the fire! Love these new styles? Yubo agreed to send one of my readers a personalized yubo of their choice! Which one will you pick? We all want to send our kids to school with a nutritious, healthy and yummy lunch but that is not always that easy. Between busy schedules and picky kids it gets all too easy to just pack what we know they will eat. Especially if our kids don't eat all the good food we pack. And that is the reason that Honest Kids, Annie's Organic, Organic Valley and Stonyfield YoKids teamed up to bring you resources, lunch ideas, coupons and How-To videos from fellow Moms. All in one place! 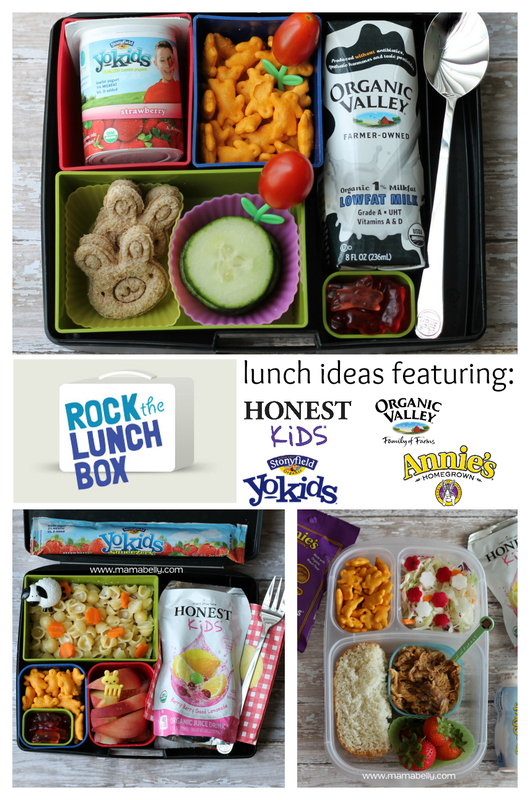 At www.rockthelunchbox.com you can find all the resources you need to pack a great lunch and best of all: coupons! And if you share a lunch of your own you can win a lunch prize pack filled with coupons and/or products from the sponsors above! 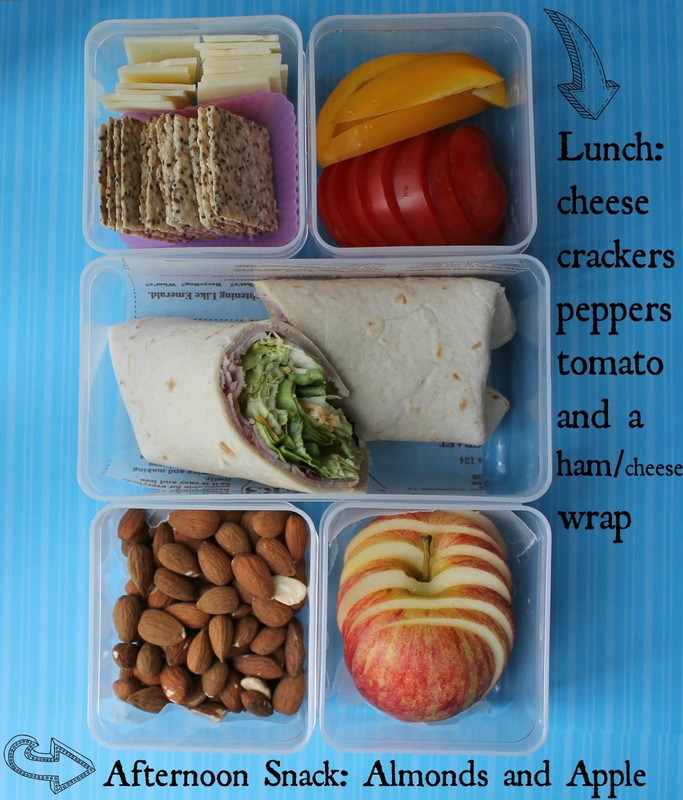 I hope I could give you some lunch packing ideas. 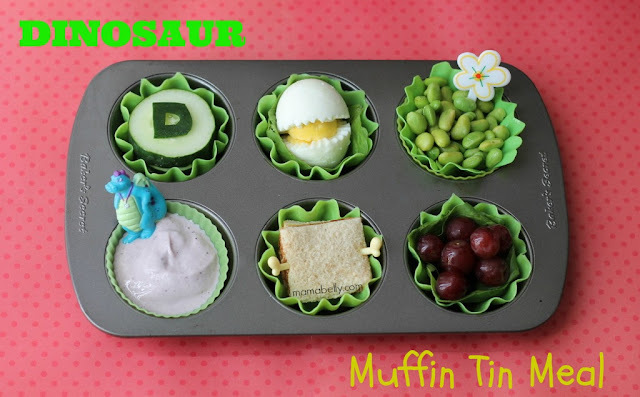 For more ideas, coupons and a chance to win a lunch pack prize check out www.rockthelunchbox.com! Would you like to win a lunch prize pack from the sponsors above? 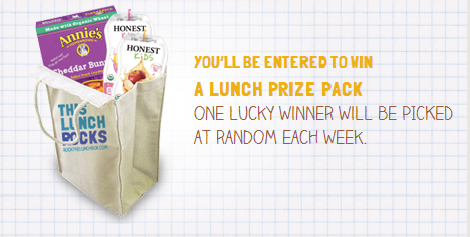 UPDATE: Laptop Lunches generously offered to send the winner a Laptop Lunches Bento Lunch Box! 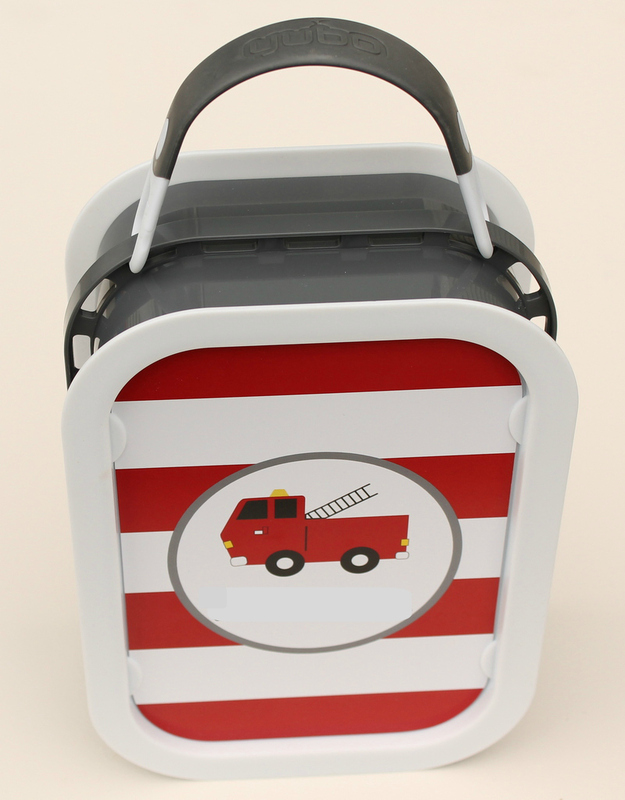 So now you can win a brand new lunchbox AND the lunch pack prize! Thank you Laptop Lunches! US residents only. Winner must respond within 48h via email or a new winner will be drawn. Disclaimer: I received free products to showcase in my lunches. 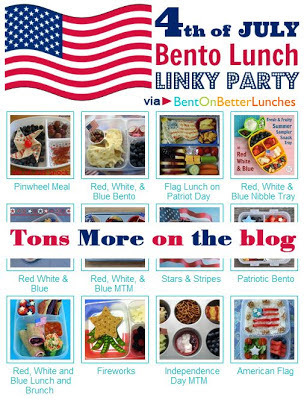 However, I am sharing this and hosting the giveaway because I wanted to share this resource and a few fun lunch items with you. This is not a sponsored post. We are experiencing a heat wave - like most of the country - and projected temperatures are in the triple digits. The kids want to head to the pool as early as possible and I am all in favor of fun and cool activity. Heading to the pool in the morning also means we need lunch. For all 5 of us and possibly something more then a box of crackers. We brainstormed together and picked our Easylunchboxes for ease of packing in an assembly line. Everybody helped put together the lunches and we kept is simple and uniform to be faster (we packed this lunch in 10 min!) and make it easier on little hands. We were able to fit all the lunches in two of our Easylunchboxes cooler bags which fit in my beach bag. So convenient! Yum! We loved our pool lunches and this was so much healthier and nutritious then grabbing snacks from the snack cabinet. I also added a sweet Lunchbox Love Card from the camp edition. 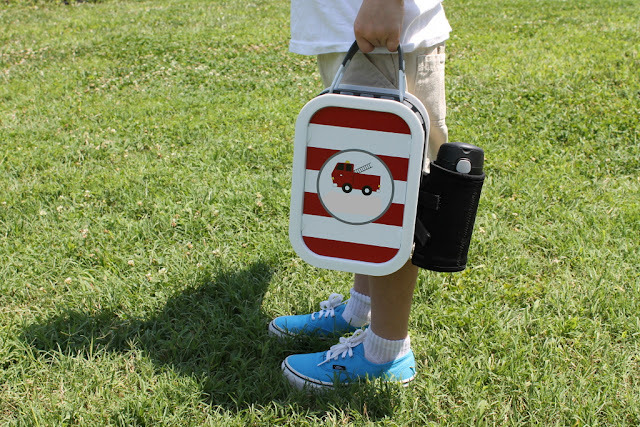 Stay cool today and don't forget to enter to win one of these amazing lunchboxes HERE! Just in time for Back to School Season OOTS! 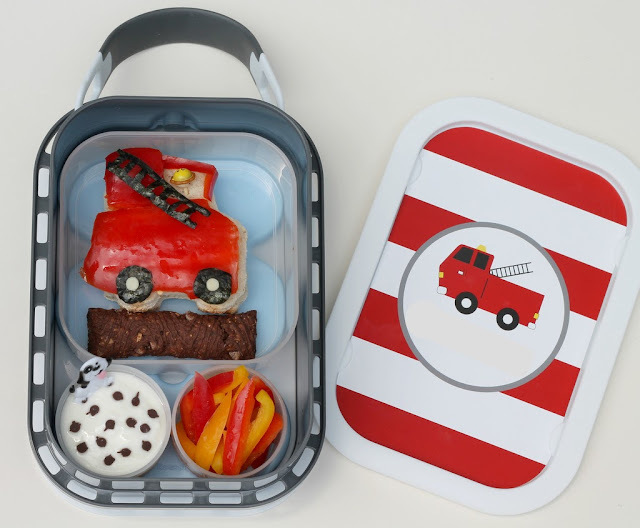 sent us their amazing deluxe lunchbox for review and you can win one at the end of this post! My kids were thrilled about this feature because our LEGO water bottle is very tall and does not fit into any of our other lunchboxes. But is does fit into our new OOTS! lunchbox! 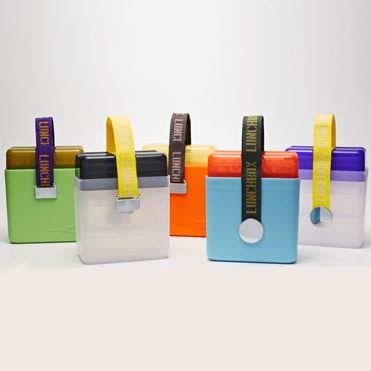 The deluxe lunchbox comes with 5 lunch containers: 1 large container and 4 small ones. The large one holds up to two cups and the small ones about 1 cup. I love the versatility of having so many containers and since they are dishwasher, freezer and microwave safe they are incredibly user friendly. 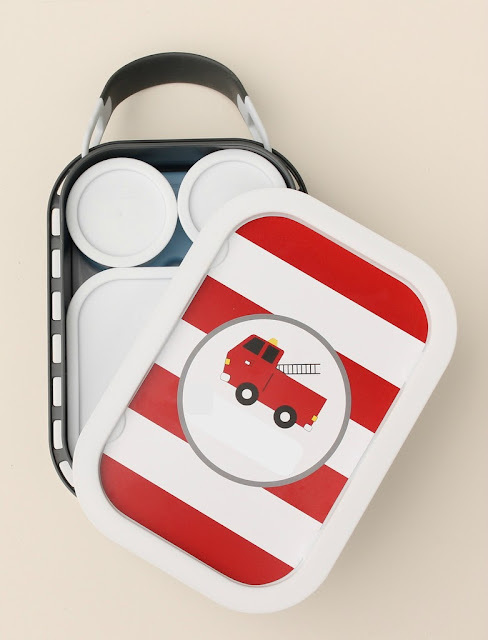 They also have a finger grip on the top of the lid for easy retrieval from the lunch box! 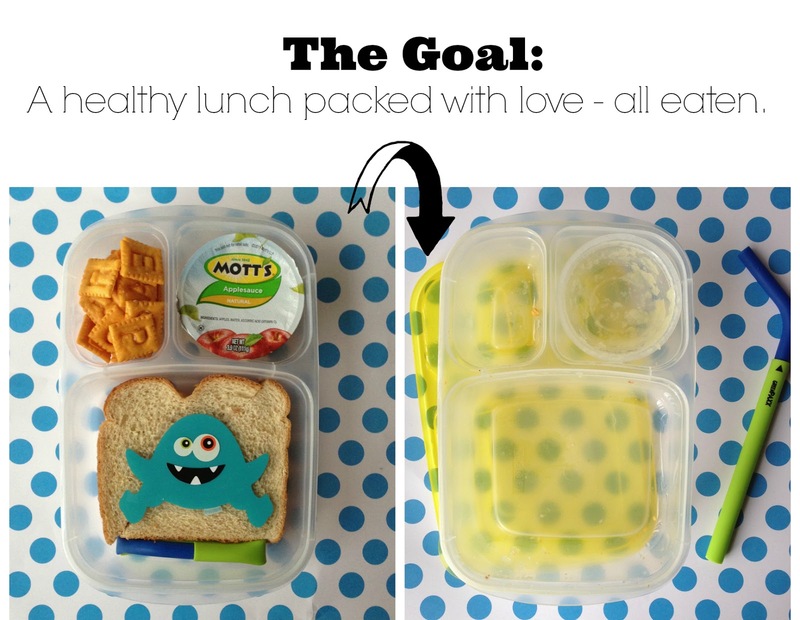 For example with two small containers and the water bottle inside the lunchbox. I even added a thin ice pack on top of the yogurt tube before closing it. 5 lunch containers = very versatile! Can grow with your child! The containers are dishwasher safe, microwave safe and freezer safe! The lunchbox does not come with an ice pack. I added thin ice packs to the lunches I packed without issue but once the lunchbox is fully packed there is little to no room for an ice pack. Not an issue if you have access to a refrigerator at school or work but something to consider! The lunchbox is big. 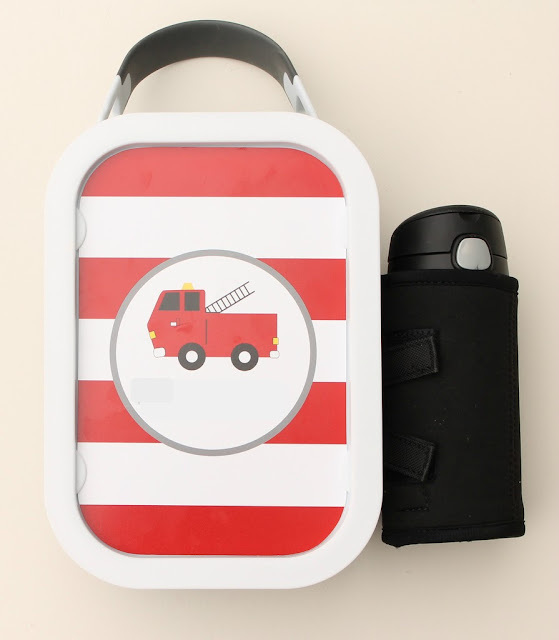 This lunchbox is much bigger then the regular lunchbox but this was not an issue for us since my kids loved carrying by itself! The containers are not leak proof which means you have to be careful when packing yogurt or applesauce. 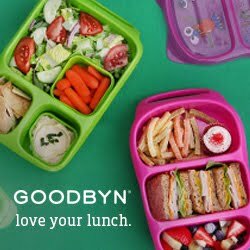 Again, not an issue for us since my kids don't swing or throw their lunchboxes but I could see this being an issue if the lunchbox is placed on it's side in your kids cubby. OVERALL: We loved trying this lunchbox and it appealed to everyone in the family! I will definitely pack this lunchbox regularly and it will be perfect as well for outings like museum visits and packing lunch for picnics at the park. Ready to pack an OOTS! 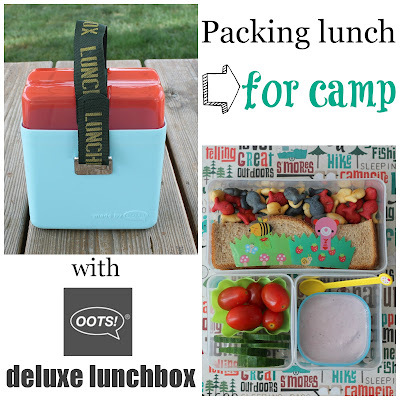 deluxe lunchbox for yourself? And you get your choice of which one you would like to win! Open to US Residents only! Winner will be notified via email and has 48h to respond before a new winner is drawn. Summer is here and that means pool time, fun summer snacks and Slushis. Only that all the store bought Slushis contain food dye and and are therefore not an option for us. 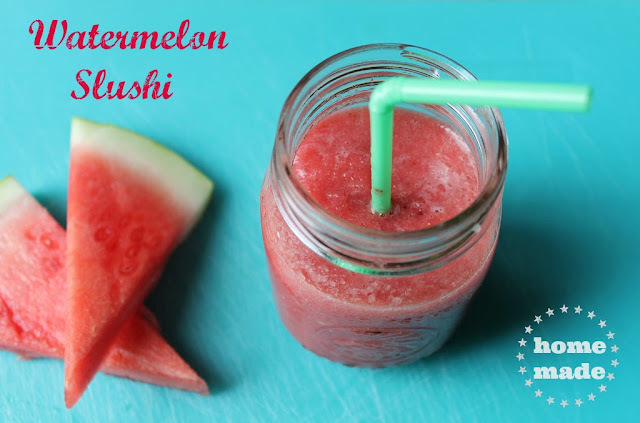 Add 2 cups of cut up watermelon to the blender and blend for a few seconds to break down. Add 2/3 cup of frozen strawberries and 1 cup of ice cubes and blend until well combined. Enjoy your day! What are you packing for lunch today? Thanks to the clear lid my kids can see the snack before opening the box. What a cute idea, Innobaby! PlanetBox generously sent us their newly launched lunchbox: The Shuttle! I was excited to try out the new size and see how this lunchbox works for us! the Tall Dipper containing dressing for the salad. I immediately loved the quality of this box! Made out of stainless steel the lunchbox feels sturdy without being heavy and the overall quality seems superior to other boxes we have tried! 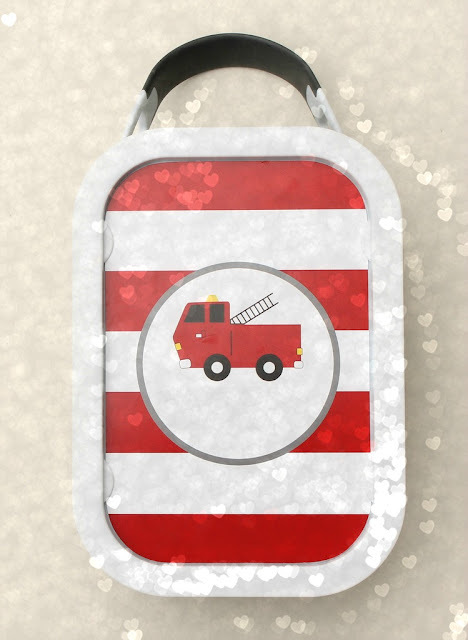 Plus, how cute are those adorable magnets (which are optional and many other designs are available HERE). 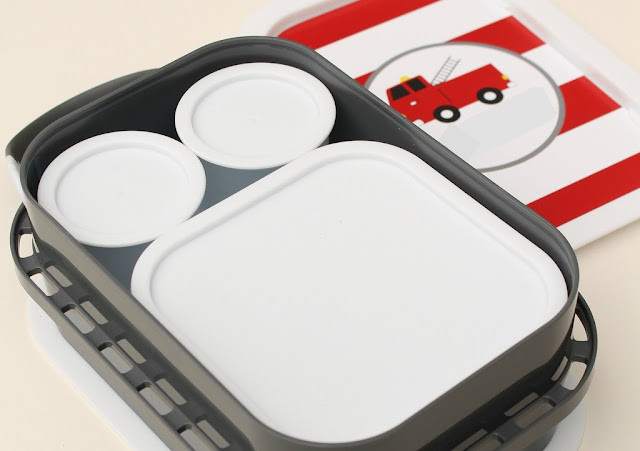 The Shuttle comes with the Tall Dipper for sauces and dips and you can purchase the basic Shuttle with the Tall Dipper (without magnets) for $34.95 which makes the Shuttle a very affordable lunchbox of the PlanetBox family! For only $5 more you can purchase a carry bag and matching magnets and I have to say I would highly recommend both! How cute is this carry bag! The carry bag is made well and keeps the lunch cold during the morning! There is very little room however for an ice pack so using the PlanetBox cold kit or an ice pack sheet will work best! Both the magnets and carry bag are wipe clean/ hand wash only but well worth their money. My younger kids loved the magnets and they really add a lot of character to the lunchbox! A great way to distinguish between lunchboxes if you have more then one. The carry bag is made well and since I love having sets worth the extra money. Overall, we really love the PlanetBox Shuttle and look forward to using it often! Disclosure: Planetbox sent me the Complete Shuttle lunch set with magnets and carry bag for review. All opinions are honest and my own. This post does not contain affiliate links.